An amazing amalgamation of chocolate, great for the last minute bash! 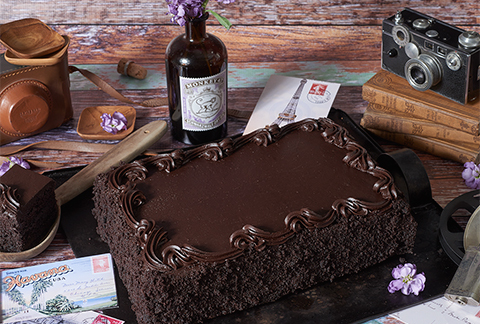 We take our popular chocolate cake mix, bake 2 layers just for you, then top it with a rich chocolate frosting! A chocolate lovers dream! Arrives in an elegant gift box and includes a greeting card that you can personalize online.